We will never sell, barter or give your personal data to any unauthorized third party. Period. "The professional artist should read it, study it and apply it." www.makeyourtartsell.com welcomes you as a valued customer. Because we want to make your shopping experience simple and as safe as possible, you are required to enter into a customer license with www.makeyourtartsell.com which explains what we promise to observe and what we require you to observe while using our services, including browsing our site. This Website is provided by Knack die Nuss! Creative Service on an "as is" basis. Knack die Nuss! Creative Service makes no representations or warranties of any kind, express or implied, as to the operation of, your access to or the results of your access to the Website (including any related or linked websites) or the correctness, accuracy, timeliness, completeness or reliability of the information, content, materials or products included on this Website. To the full extent permissible by applicable law, Knack die Nuss! Creative Service disclaims all warranties, express or implied, including, but not limited to, implied warranties of merchantability and fitness for a particular purpose. Knack die Nuss! Creative Service will not be liable for any loss or damage (including indirect, special or consequential loss or damage) arising from the use of, or reliance on, any information on the Website, whether or not caused by any negligent act or omission. If any law prohibits the exclusion of such liability, Knack die Nuss! Creative Service hereby limits its liability to the extent permitted by law, to the resupply of the said information. We promise to protect your privacy. Except if required by law, we promise not to divulge any information that you provide to us. We use the information we collect about you to process orders, including calculating the amount payable, and to otherwise communicate with you. We may provide aggregate statistics about our customers, sales, traffic patterns, and related site information to our licensees. We promise that these statistics will include no personally identifying information. We promise to support your purchase. In the unlikely event that you require assistance with any eBook purchase, we promise to provide you with assistance. We promise to keep you informed of changes in products and services. We may add, delete or change some or all of our services at any time, including the manner in which those services are to be accessed. We will endeavour to keep you informed of these changes by publishing details on our website. While we will use our best endeavours, we do not guarantee that our service or products will be available at all times or in all locations. You promise to respect copyright and otherwise observe the law. Once an eBook is downloaded, it cannot be refunded or exchanged for another eBook for for a different format of the same eBook. 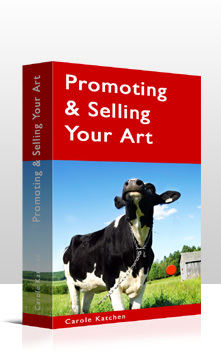 All eBooks at www.makeyourartsell.com are the exclusive property of the publisher or its licensors and is protected by copyright and other intellectual property laws. The download of these product(s) is intended for the Knack die Nuss! Creative Service Buyer's personal and noncommercial use. Any other use of eBooks downloaded from www.makeyourartsell.com is strictly prohibited. Users may not modify, transmit, publish, participate in the transfer or sale of, reproduce, create derivative works from, distribute, perform, display, or in any way exploit, any of the content of these product(s), in whole or in part. By downloading Knack die Nuss! Creative Service eBooks, the User hereby acknowledges and agrees to these terms. You may view this Website and its contents using a web browser. You may not make copies of this Website. Save for the foregoing, you promise not to reproduce, transmit, make available, adapt, modify, frame (by whatever means), link to or do any other act of copyright or otherwise use any of the material on the site without first obtaining the written permission of Knack die Nuss! Creative Service or unless specifically permitted by the Copyright Act 1968 (Cth) or similar copyright legislation. You promise to pay for our products and services. Joining www.makeyourartsell.com is free. You are required to pay all applicable taxes. You promise to provide us with accurate information. You promise not to compromise the integrity of our software or systems. That is, you promise not to use any device, software or routine to interfere or attempt to interfere with the proper working of the Knack die Nuss! Creative Service Website or any of the software that we supply to you for the purposes of providing you with an eBook. You promise not to take action of any kind against us in the event of our termination of this agreement, non-supply, or unfitness for purpose. That is, you release Knack die Nuss! Creative Service, its servants and agents ("us") from any liability if we terminate or suspend your entitlement to use our services. We will only do this if you fail to observe one of these principles. You release us from any liability if we fail to provide you with a service or a product within a reasonable period after you request it. You release us from any liability if the software that we provide to you is not suitable for your existing hardware or software. Some jurisdictions do not permit the disclaimer of implied warranties, in which case this disclaimer will not apply to you. You may have rights additional to this agreement and which vary from jurisdiction to jurisdiction. Refunds will be given according to our guarantee that we provide to the purchase of the individual eBook. After the expiration of our guarantee no Refunds will be given on digital items (eg: eBooks) where the item has been downloaded or sent by eMail. Knack die Nuss! 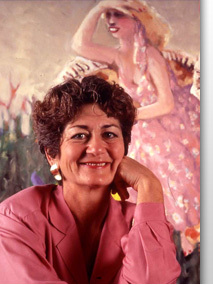 Creative Service is the registered owner of various business names and marks, including www.makeyourartsell.com. Knack die Nuss! Creative Service uses the various Marks in the course of providing products and services to its customers. Knack die Nuss! Creative Service has used and continues to use the Marks as trade marks outside Germany and asserts its entitlement to do so to the exclusion of others. The Marks may not be used as trade marks or in connection with the supply of goods or services by any other person without prior permission in writing by Knack die Nuss! Creative Service. Knack die Nuss! Creative Service has developed strict guidelines as to the manner in which the Marks are to be used by authorised users. � 2007-2019 MakeYourArtsell.com. All rights reserved. Imprint.